On a weekly basis, crew members deploy their academic and professional knowhow to produce the 90-minute programme on national radio. Every Sunday morning, listeners of the national radio station relish in CRTV’s incisive news magazine programme – Cameroon Calling (CC), which runs for 90 minutes beginning 7am. From the comfort of their homes, most of them presumably on their beds, religiously and attentively follow the programme as the presenter and contributors take them through the week’s major events with their charming and commanding voices. Listening to the decades-old programme is as easy as pie as it requires just time and a radio receiver. But not its production process is not as easy. Production of CC is a herculean task, not for the feeble-minded. Work begins every Monday as reporters must start scouting for one or two main stories of the week which have the potential of catching the attention of listeners. Then every Wednesday at 3:30pm, we learned, an editorial meeting usually takes place involving all English-speaking journalists of the News Department of CRTV Radio. It is thanks to such meetings that the first draft of the week’s CC is conceived and nurtured. Unlike in the past when Cameroon Calling was presented live, the programme is now pre-recorded to circumvent technical hitches and respect the prescribed 90-minute duration. It takes many hours of hard work and keenness as well as no fewer than 10 journalists and two technicians to get a full edition of CC on air. Don’t take the reporters for granted. They demonstrate human competence and tech savvy as they are responsible for recording their scripts and editing the audio using advanced editing software. 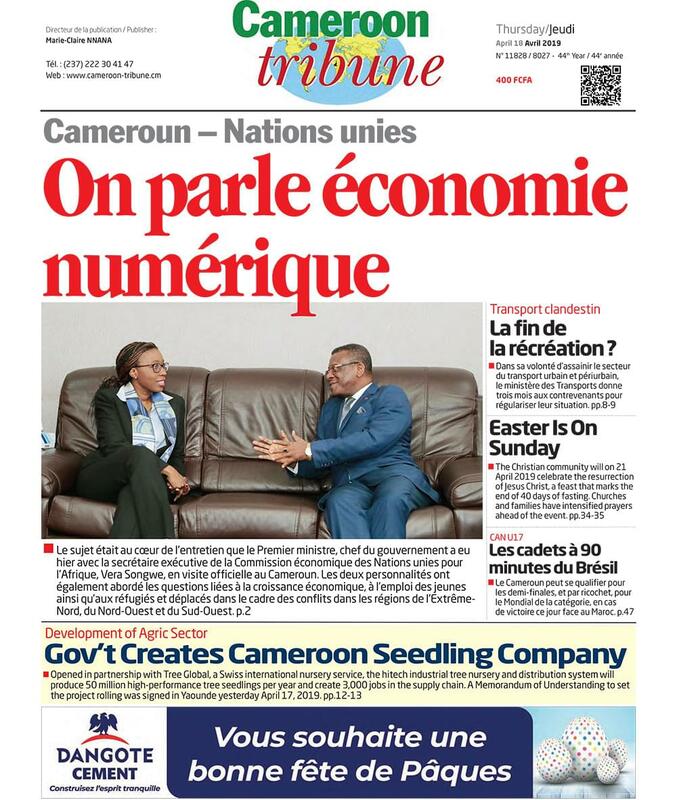 Recording of scripts and the entire edition of CC usually runs very late into the night of Saturday, Cameroon Tribune has observed on many occasions. And even though CC is pre-recorded, the presenter and some crew members are always on hand on Sunday morning to intervene live in case of any technical difficulty when the programme is being broadcast. Samson Websi Ngangeh, a long-time presenter of CC says they inherited the spirit of their predecessors as they were free thinkers and open-minded. “At CC, we master the profession as well as the language. So there are messages we can pass and go away with it,” Websi disclosed, reminiscent of presenters and reporters who have had to be sanctioned or arrested and detained for their declarations. Once known as Cameroon Report, latest innovations to the programme were introduced in 2014 and 2017. In Cameroon’s fragile media landscape, Cameroon Calling; now produced by firebrand female journalist Ayi Mbile, faces one major problem – difficulty in getting reasonable resource persons.